With a glorious Bank Holiday Weekend behind us, the Pennywell fun continues every day from 10am to 5pm. Hundreds of friendly animals are waiting to meet you and we have a different hands on animal activity every half hour. We’ll be getting into the weekend mood on Friday with the ‘Great Devon Mascot Get Together’. 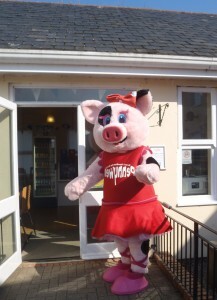 Pennywell’s very own Pippa Pig will be hosting the event for her mascot friends from all over the county with plenty of fun and games to be had. Our mascots will be riding on the tractor and trailer, tackling the assault course and meeting the visitors. 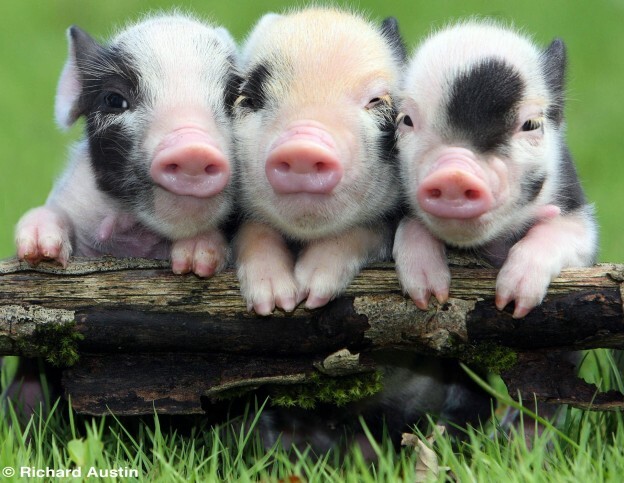 You can come along and meet them from 1pm this Friday, 11 May. A juggling performance with a difference will be taking place on Saturday 12 May, as juggler and comedian Jon Udry puts on a show in a pig pen. 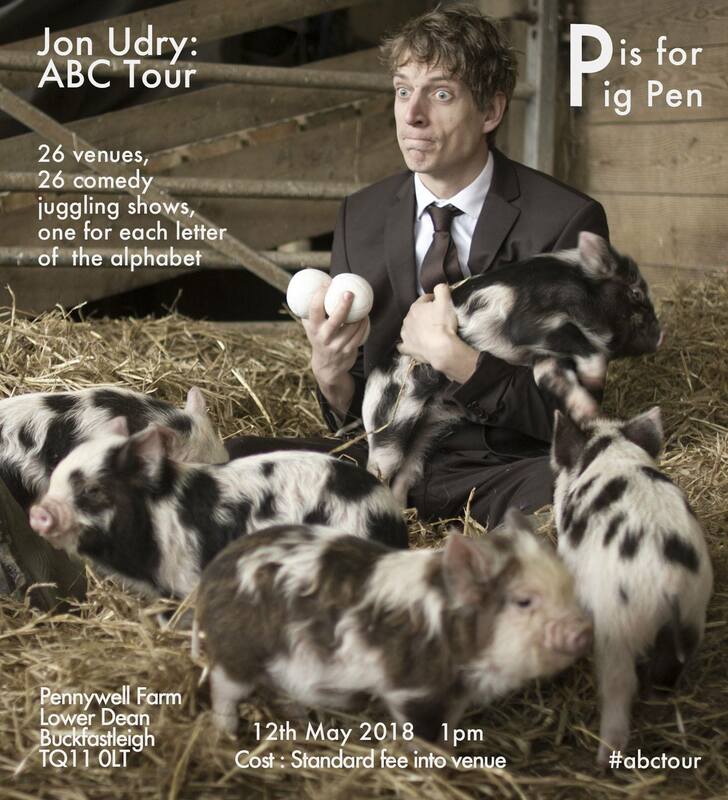 The Pennywell miniature pigs will be treated to a gig of their own as part of Jon’s ABC Tour which is a challenge he has set himself to complete 26 shows in 26 venues, each beginning with a different letter of the alphabet. P is apparently for Pig Pen. Jon chose to approach Pennywell as the farm already has a strong animal enrichment program and knowing how curious and intelligent pigs are, he wondered how they would take to a performance especially for them. Although the performance will predominantly be for the pigs, humans of all ages are welcome to come along and watch too! The performance will be at 1pm, in the pig pen. Elfic the Jester will be performing on Sat 12 and Sun 13, although his shows will be for our visitors in the theatre rather than the pigs! If you are buying tickets for children online, don’t forget there is a FREE Pennywell Pal soft toy for them when they arrive with their online ticket.